Fusion dance lessons encompass a variety of styles of dance including: street jazz, theatre dance, lyrical jazz and contemporary dance. The class is open to all levels of ability from complete beginners to the improver, students will be encouraged to work at there own level. 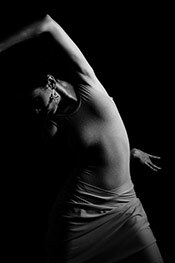 UDC is a commercial dance company and agency producing shows world-wide and these classes will be taken by the company director Sarah Spearing. The class starts with a warm- up including low intensity cardiovascular work-out, stretching to encourage flexibility, exercises to increase core strength, and some basic ballet technique to improve control of dance movements. Choreographed dance routine: over time you will learn a variety of dance numbers from street jazz, lyrical jazz, theatre dance and contemporary. Cool Down: The class ends with a cool down of the body and stretching the muscles. Music: Pop music, R&B, Jazz, Musical theatre. Location: Headingley Methodist Church Hall, Chapel Street, Headingley, Leeds, West Yorkshire. Directions: The Methodist Church is on the main road in the centre of Headingley, opposite Sommerfield and the Arndale Centre. Click here for GoogleMaps and directions. To reserve a place or for further information, please call Sarah Spearing on 07961 579482 or email. Please note: dance is a physically strenuous exercise, please take responsibility for being fit to take part.